Is Estate Planning Only for Your Finances? Many people think that financial benefits are the only ones obtained by planning. Although the most obvious benefits of your estate plan are financial in nature, there are many other nonfinancial benefits as well. Identifying a guardian to serve for pets or for children or even protecting non-traditional assets like a stamp or gun collection can additionally be accomplished through the estate planning process. Talking things through with a lawyer can help you uncover all the advantages of a complete estate planning process. Another major reason that people schedule a consultation with an estate planning attorney to begin with is because of a concern over privacy. Establishing a trust gives a layer of privacy to someone who wants to accomplish estate planning without it becoming a matter of public record. An estate also has one other major non-financial benefit and that is peace of mind. All of the numerous what-if scenarios that through the mind of a person putting together an estate can be overwhelming, but sitting down and discussing these directly with a knowledgeable attorney can help to clarify your position and articulate your goals clearly in valid legal documents. While you can reap a lot of financial benefits through the estate planning process, there are many others that can be obtained, too. Are you ready to ensure your existing documents meet your goals? It’s time to schedule a consultation. The right attorney can make a big difference when contemplating the financial and non-financial benefits of estate planning. Do not hesitate to schedule a consultation with a New Jersey estate planning lawyer today. 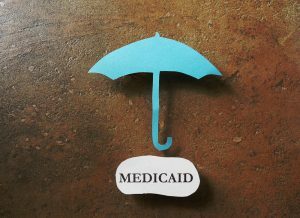 Adjusting Your Assets for Medicaid? Planning ahead for Medicaid is an obvious step that most people in retirement contemplate at least once. Don’t fall for the assumption that Medicare and Medicaid will automatically cover all your expenses if you suddenly find yourself in need of long-term care. Medicare only covers certain expenses and Medicaid kicks in only once you have limited assets. If you’re new to the planning process, it might seem like the right choice is to give away as many of your assets as you can in order to meet Medicaid requirements, but doing this without the help of an estate planning and elder lawyer could be a mistake. Making gifts to someone for the purposes of spending down your assets within five years of applying for Medicaid looks like an attempt to skirt requirements and can lead to penalties for a person applying. That’s why any advance planning for Medicaid should be done with the help of a lawyer. The good news is that there are legal and accepted ways in which to spend down your assets, but you need a long-term plan and the insight of someone who understands the Medicaid landscape. Trusts, long-term care insurance, and annuity purchases are just a few of the ways that you can legally add diversity to your estate plan and keep an eye towards qualifying for Medicaid in the future. It’s important to check references for anyone you’re planning to work with for Medicaid purposes. Given the complexity of the rules and regulations and the fact that some dubious individuals in the market try to sell a broad-range of confusing products to the growing baby boomer population, doing your research and making sure the professional you choose to work with. Verifying his or her credentials and asking for references from former clients is a great way to find out if the person you’ve chosen to work with is reputable and the right fit for your needs. 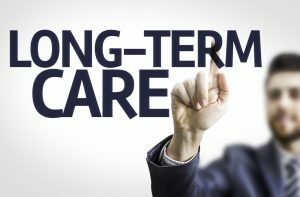 Since long-term care expenses can put a significant dent in your assets, Medicaid planning in advance is well worth it. Talk to an experienced lawyer to learn more. There is a good chance that you’ve probably been sorting away most of your retirement funds in a traditional account, however, digital capability in millennials may be the key to making changes in how retirement savings occur. If you are looking to boost retirement assets, millennials have a larger share of the available market and more are willing to move to find different advisors, while older consumers tend to have more money and they are less likely to change. A recent 2017 Future of Advice study identified that millennials between the ages of 18 and 34 have $1.5 trillion in total retirement assets, compared to the $22.5 trillion held in retirement by consumers aged 35 and above. Retirement is a major priority for millennials. Consulting with a retirement planning professional in conjunction with the estate planner that you use to help draft all of your legal documents for what happens if you were to become incapacitated and what happens to your belongings after you pass away is a good idea. Even if you feel late to the retirement game or are concerned about the best way to make your retirement investments last over the course your older years, being knowledgeable and engaging with these materials on a regular basis can help to benefit you. Do not hesitate to schedule a consultation with an experienced estate planning lawyer to talk more about how your retirement savings may become an important component of how you live your life and pass things on to your future generations. Low or no cost, in which your friends, family or spouse pitches in to take care of you, if they are able to and willing to do so. The time involved each day will vary widely, but many other family members and spouses may have to reduce their work schedule or quit their job entirely in order to assist you. Low or medium cost. Personal care assistance, home health aides and companions can come to your house regularly to assist you with what you need. Genworth’s 2016 Cost of Care survey identified that the median rate in 2016 was a $125 for licensed homemaker services. The median daily rate for an adult day care facility is $68 so this can plough through your retirement savings quiet quickly. High Cost. The most expensive option for a loved one who needs assistance is placing him or her in an assisted living facility or a nursing home. The median monthly rate for an assisted living facility according to the Genworth survey was $3628. Looking at the low-cost alternatives and the time to figure out what will work most for your individual family members is strongly recommended. However, it can be extremely expensive to try to figure out the best opportunities for your loved ones. Talking to an estate planning lawyer can help you to identify whether Medicaid and other options are available to you and how to plan for them appropriately. Is It Possible to Be Too Early in Drafting Up a Will? Is someone age 18 too young for a will or other estate planning documents? You might think so initially, but having a plan is always beneficial, particularly if you have special plans for your belongings or assets. In conjunction with a will, other tools like a power of attorney can even help a college student facing a medical issue. Once someone becomes an adult in the legal sense, scheduling a meeting with an estate planning lawyer makes sense just in case. Putting together crucial estate planning documents is all too easy to ignore. 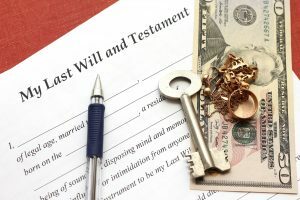 In fact, most people skip the step of having an estate plan at all and don’t even have a basic will that articulates what they want to happen their possessions when they pass away. With no wills, some of the negative consequences that your family members may face include little to no direction, prompting conflicts and litigation costs, leaving children who have no assigned guardian and paying more in attorney fees, costs and taxes. In addition to putting together a will, you may also want to list a document that explains what you want to happen to your remains, a financial power of attorney, and a health care power of attorney. Individuals with more assets might also want to consider the most basic form of a trust and can accomplish this by consulting with an attorney. There are many different aspects involved in the estate planning process, but it’s important to remember that any person of any age and of any asset amount should consider the benefits of estate planning and consult with an attorney sooner rather than later. Failing to take these necessary steps could put your family members in a difficult situation in the future. You’ve probably made a tremendous number of life changes between the ages of 20 and 40. You got married, moved a few times and saw your children grow from babies to adults. The years between 60 and 80 will not be as different as you are thinking. You’ll need plans, goals and flexibility to adjust when your life circumstances change. Pursuing your passion, staying healthy, continuing to communicate, giving back and getting organized are some of the most common goals for people approaching retirement. Choosing where to live and planning things out with their spouse or partner are strongly recommended so that you can ensure that everyone is on the same page. You may even be interested in figuring out how to adjust with your loss of work identity or how to prepare for your finances in retirement when you are no longer receiving a regular paycheck. 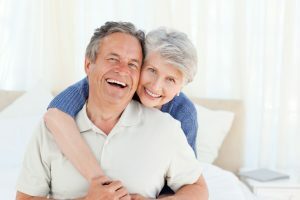 All of these goals can be accomplished by looking ahead to the future and thinking about how you envision your retirement and then planning in conjunction with an experienced estate planning attorney and a financial planner. Engaging with professionals in this way gives you an overview of the different opportunities available to you and the next steps that you need to take to prepare for a future in retirement. Why Is Retirement Planning So Important for Women? Everyone can benefit from the process of estate planning, but it’s more important for women than it is for men, frequently because many women do not think about the estate planning process. First of all, women tend to live longer and despite advances in gender equality in the United States, women still shoulder much of the burden associated with child care. This means a non-existent or a reduced income and ensures that savings for the future is difficult. As women tend to outlive men by five to six years, it is important for women to take crucial steps in the estate planning process that can help to position them to make an empowered decision should something arise. No one wants to find themselves in the position of failing to take the necessary planning steps and putting that burden on your loved ones. It can lead to unnecessary conflicts, court costs and legal fees. Planning your estate and considering elder law issues. Don’t put off these simple, but effective steps in planning for your future and for your loved ones. Taking action now is important because it saves your family members time and stress down the road. Did You Know That There Is a Life Cycle to Your Retirement Plan? Most people understand the basic benefits of planning ahead for retirement, but they may not understand the specific cycles and important impacts of planning for retirement. The financial life cycle follows your general aging cycle and every decade it will play its part in your financial lifecycle. During your 20s, you’ll be primarily focused on building a foundation for any financial independence. As you get into your 30s, you’ll be looking at accomplishing goals such as building your wealth, debt reduction and career consolidation. It is commonly in the 30s that people may begin contemplating the benefits of asset protection planning. In the 40s, you’ll still be focused on wealth accumulation and paying down any necessary debts. During your 50s, however, you will likely need to remain fully employed to age 60, if you do not have an employer’s sponsored pension or were somewhat older when you had a child. 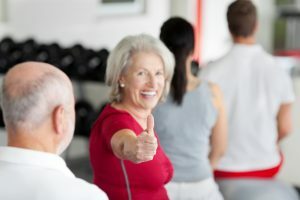 Your 60s is the work optional, semi-retirement period of your life, followed by the golden years and traditional retirement of you 70s and beyond. Consulting with an experienced estate planning lawyer is just one of the steps that you should take as you look forward to retirement. Having the necessary documentation in place to assist you if you were to suddenly become incapacitated as well as to protect the assets you have spent so much of your life working to build, is an important component for anyone. 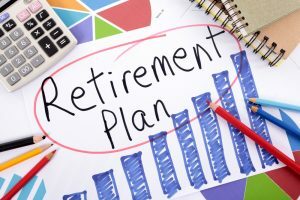 Your retirement plan is the focus of much of your working years, and likewise you should continue to revisit it and determine how it will be used during your golden years or passed on to loved ones. All of these are important steps you should consider taking. Are you trying to determine the perfect time to retire? 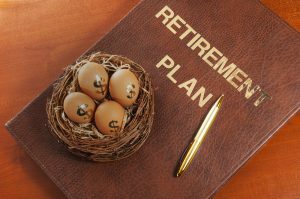 Many older people have difficulty figuring out when to leave their job at the ideal time to cash in on retirement benefits and maximize Social Security. It turns out that waiting a little bit longer could be better for your mental health. A new study conducted in France determined that working longer could help to ward off dementia. More than half a million self-employed laborers in France participated in the study and were linked to a decreased risk of dementia when they worked longer. 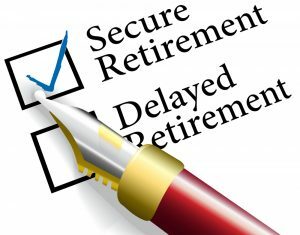 There are numerous different benefits to delaying your retirement. In addition to increasing your social security benefits up to a certain age, work often gives you a sense of purpose and a sense of community. You have to communicate with others to do your job and also learn new programs and skills. This helps keep you sharp mentally and gives you a sense of purpose every single day. The work environment today puts demands on individuals that forces them to be there, engage, and socially interact. Although older employees may process information at a slower rate than their younger peers, other functions like speech, language and semantic memory can improve with age. To talk more about retirement planning benefits and how they work in line with your estate planning, consult with an experienced estate planning lawyer today. Finding that perfect time to retire involves careful consideration of your future healthcare needs and the money you have set aside to retire. Are you concerned that a lawsuit or other threat could jeopardize your personal finances? While some people face a higher likelihood of an incident like this, everyone should be concerned about asset protection planning. Accomplishing asset protection planning is often successful after you consult with an attorney who has experience in this area. Holding assets outright and in particular, those assets that may be exposed to serious risk like real estate investments can be a big mistake in the event that a creditor or lawsuit threatens you in the future. A limited liability can be structured to hold some assets. This is often used in conjunction with the benefits of providing an orderly transfer of assets to the next generation and reducing your estate taxes. 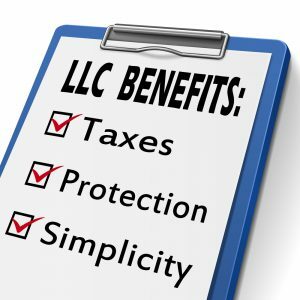 So long as you respect the legal formalities associated with an LLC, you can also tap into their asset protection planning potential. A limited liability company can be extremely valuable for isolating a risky asset. If in the event that you hold real estate and an injury happens to someone on the property, your personal assets could be tapped for that. However, if the property is owned by an LLC, then the injured party is only eligible to reach the assets in the LLC. Furthermore, personal creditors typically cannot reach assets inside an LLC. The creditor is limited to a charging order that entitles them to collect distributions made from an LLC to you but not the underlying LLC’s assets. Consulting with a knowledgeable asset protection planning attorney is strongly recommended. How Much Can a Job Loss Today Cost You by Retirement? What happens if you lose a job in your 30’s, 40’s, or 50’s? Doing so could impact your life significantly, it turns out. If you have multiple events, or income shocks, over the course of the critical years for your retirement savings, you could be facing challenges down the line. Many individuals may suffer an event over the course of their life that could cause them to dip into their retirement savings account. Furthermore, major financial setbacks can generate challenges that can decrease the amount of money you’re contributing towards your retirement account. Up to 96% of Americans will experience at least 4 income shocks or a 10% or greater decrease in their pay as a result of something like a job loss, job change or poor health. This is shared by a study conducted by the New School for Social Research. Individually, these minor income shocks will not significantly impact your overall retirement savings. One setback, for example, could lead to as little as $1000 less savings in retirement. However, multiple income shocks can really add up. 4 or more 10% income decreases can drop your retirement savings by $10,000. In conjunction, having poor health can also significantly decrease your nest egg value. Poor health reduces it by more than $86,000 and less than outstanding health reduces the retirement savings by about $34,000. Don’t let one job loss discourage you from continuing to work towards your retirement planning goals- it’s well worth the effort to continue contributing as soon as can again. 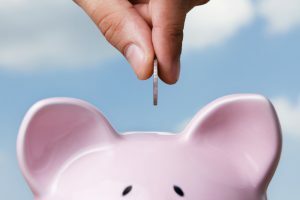 When it comes to retirement savings, it can be hard to bounce back from a job loss, but it might also be a crucial component of being able to recover the funds you need for a comfortable retirement. 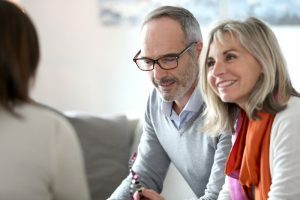 Consulting with an experienced estate planning attorney about your retirement planning goals is strongly recommended if you find yourself in this situation. Looking ahead to the future is one way to minimize the potential impacts. Is a Lack of Business Succession Planning Threatening Your Company’s Health? Have you spent a good portion of your life growing the viability of a business? If so, you can’t ignore the second step of a firm business foundation: creating a succession plan that carries on your legacy and your offerings. The right business succession planning lawyer can help you with this process so that you have a clear idea about the future. Far too many people and successful company owners never engage in the process of business succession planning. 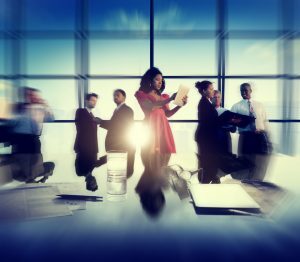 It might seem like the process of transferring the company is too far off the future to worry about these concerns but a sudden incapacitating event such as a disability or an accident could render you unable to make decisions in the business and force you and your loved ones to make a decision without maximizing all of the options. Only 16% of firms have discussed as well as documented a succession plan, according to a Price Waterhouse Cooper’s 2014 study. The potential problems associated with lack of succession plan have not been effectively addressed or fully grasped by many different companies. Most family-owned businesses struggle to keep that family on status passed to the second generation which presents a unique concern that should be discussed directly with your business succession planning lawyer. Many of the succession plans in place focus only on the financials, but the best succession plans will also consider a people focused combination of leadership development and succession management that helps to set up the business for success in the future. To learn more about the process of business succession planning and why having a documented plan can help you significantly, consult with an experienced lawyer today.